Department of Homeland Security (DHS) Secretary Kirstjen Nielsen lauded the new Migrant Protection Plan Thursday night, saying it will lower illegal immigration into the United States. The policy will keep would-be refugees, mainly from the migrant caravan, in Mexico while their asylum pleas are assessed. The deal was first reported last month as the “Remain in Mexico” plan but then quickly denied by the incoming Mexican administration. Nielsen told Fox News that the deal satisfies a number of issues. 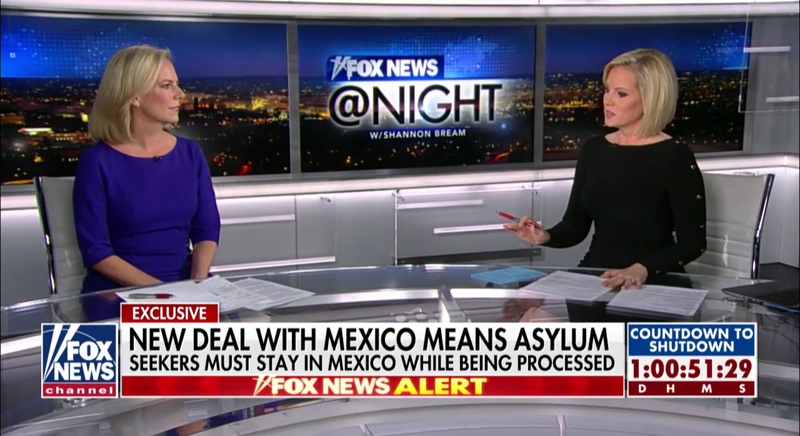 DHS Secretary Kirstjen Nielsen speaks with Shannon Bream on “Fox News@Night,” Dec.20, 2018. Fox News screenshot.